The third edition of Bengal Premier League began today with eight teams in the contest. 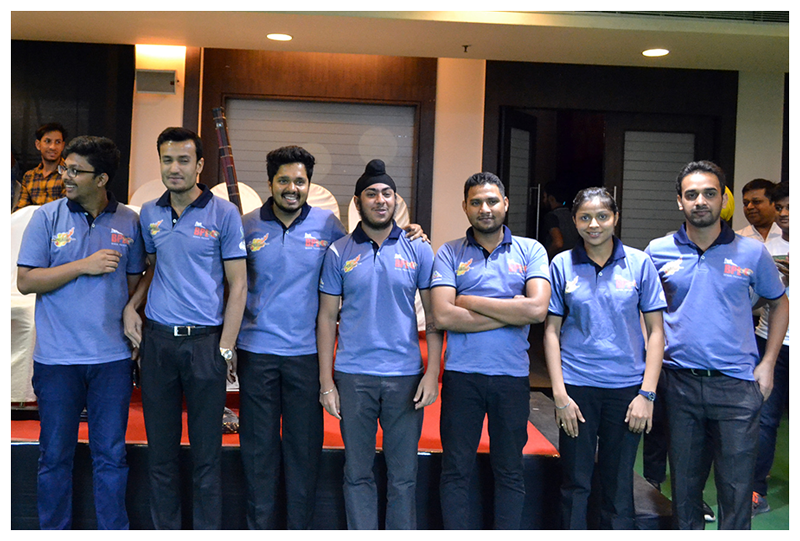 The league is being organized by West Bengal Billiards Association in association with Silver Spring Club, Kolkata. During the opening ceremony, the Director of Space Groups, Mr. Piyush Bhagat announced the league open for next six days with the final on 18th July 2018. 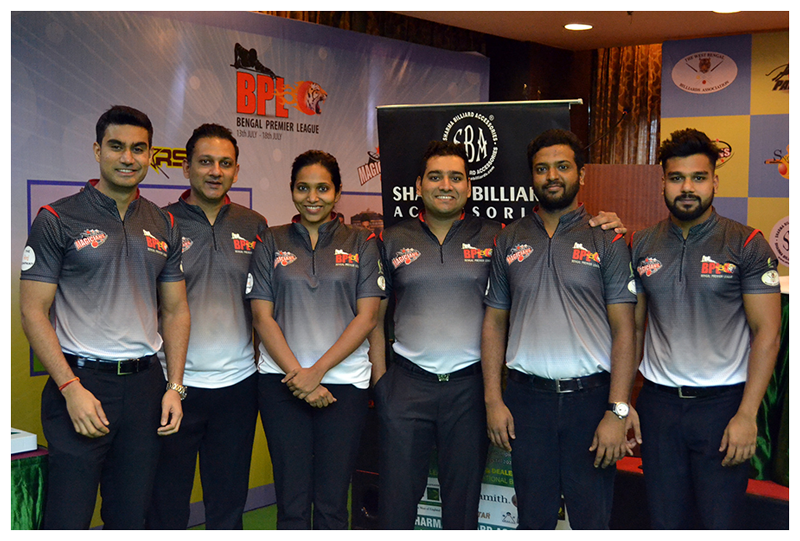 Top cueists from the nation are taking part in this league, which includes Former Asian champion Aditya Mehta, who has taken a break from professional circuit, is leading the team Black Panthers. Other top cueists participating are former Asian & Billiards Champion Alok Kumar, Current World 6Reds No.2 Kamal Chawla, National Champion Sumit Talwar, Current World Team Cup champion Manan Chandra and the former World team snooker bronze medalist Brijesh Damani. This year two top women cueists of the country, Vidya Pillai (former World No.2) and current Asian Women Snooker champion Amee Kamani are also participating in the league. Today two matches were played and won by Cue Magicians and Snookin Shooters. Cue Magicians defeated City Knights 4-3, and the Snookin Snooters won against Black Panthers. Cue Magicians had won their first four frames to confirm their victory but after that gave away three frames to settle on 4-3 score. Snookin Shooters also won their match by same score-line 4-3 against Black Panthers. The match was quite interesting where Aditya Mehta won his both initial frames but his team couldn’t perform well and they lost the match 4-3. Towards the end, Aditya also lost the doubles frame with his partner Siddharth Parikh.